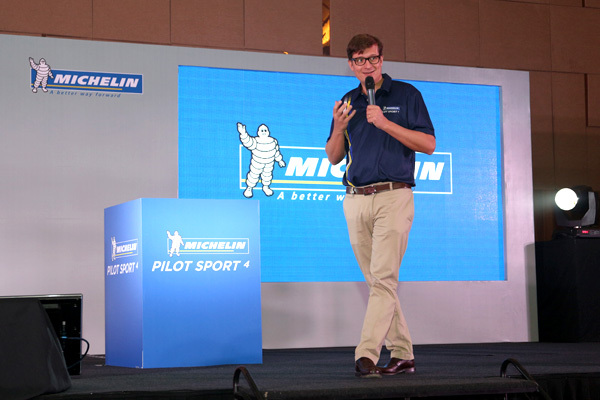 Kuala Lumpur (19 October 2016) — Michelin once again proves its ability to innovate and push the industry forward with the new game-changing MICHELIN Pilot Sport 4 which enhances Michelin’s already successful line up of Pilot Sport tyres thanks to its longstanding experience in high level motor racing. Since 1997, the Michelin Pilot Sport range has dominated the high performance tyre category and has been the benchmark for street performance tyres. It has always provided drivers with the opportunity to make the most of their car’s performance and this fourth generation version takes the philosophy to another level. 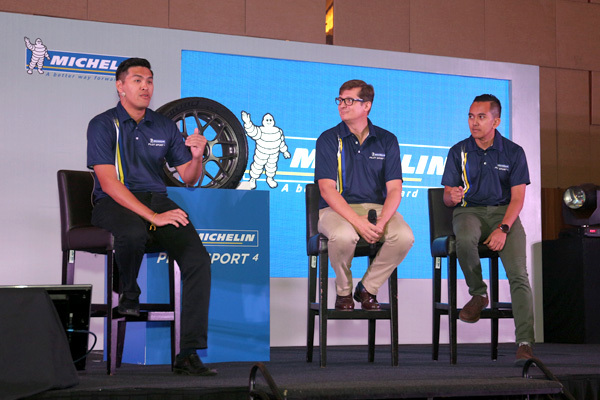 “The MICHELIN Pilot Sport 4 is testament to our track to street philosophy and is the result of a unique know-how developed by our engineers which redefines the standards of the category,” said Pascal Nouvellon, Managing Director of Michelin Malaysia. According to Pascal, the MICHELIN Pilot Sport 4 goes even further than its predecessor, offering innovations and advanced technologies that increase every aspect of performance and safety for drivers seeking pleasurable drive. “It is designed for drivers who do not compromise on safety on the road and appreciate memorable experiences and driving enjoyment, along with handling accuracy and control in all situations, even the most extreme,” said Pascal. In the internal tests conducted in August 2016 in the Michelin JKN and JARI test facility in Japan by professional test drivers, the MICHELIN Pilot Sport 4 surpassed its mainstream competitors and has become the leading ultra-high performance tyre to dominate several key testing criteria simultaneously, especially in wet and dry braking capability. “We are confident that our customers will be as excited in this new tyre technology as we are. 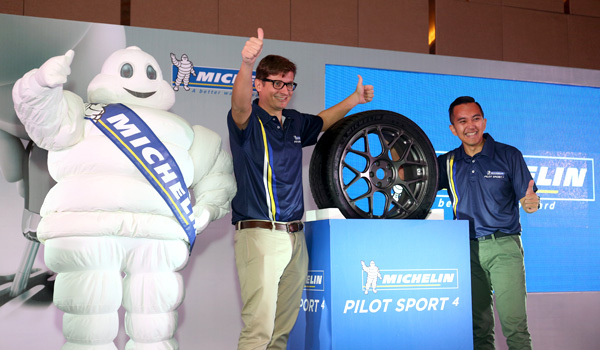 We believe the new MICHELIN Pilot Sport 4 is a game-changer when it comes to high performance tyres,” he added. Built to satisfy the high expectations of passionate drivers seeking pleasure and thrills, the MICHELIN Pilot Sport 4 provides ultra-responsive performance, a high level of safety on all surfaces and unique premium looks that have become synonymous with the Michelin brand. The MICHELIN Pilot Sport 4 is the first tyre to feature Michelin’s ‘Dynamic Response’ technology which consists of a belt with hybrid aramid and nylon reinforcement that allows the tyre to withstand centrifugal forces and maintain contact patch stability at very high speeds. This ensures a high level of traction, reactiveness, handling and better control when driving on the road. A second feature which allows the tyre to deliver better dry handling performance is its new tread design, inspired by tread pattern on the Formula E racing tyres. The Formula E tyre tread pattern is able to handle the extreme performances of the electric race car with tremendous torque and super reactive handling on normal road surface for both wet and dry conditions. New-generation functional elastomers and silica hydrophobic were added to the MICHELIN Pilot Sport 4 tyre rubber compound in order to increase braking efficiency and traction on both dry and wet surfaces. The deep longitudinal grooves can effectively remove water from the contact patch, giving a significant reduction in aquaplaning risk and provides safety in any weather conditions. A unique feature of the new MICHELIN Pilot Sport 4 tyre is the design of its sidewall. The Premium Touch finishing gives the markings on the outer sidewall a premium ‘velvet look’. This unique look was first used in the Michelin Pilot Sport Cup 2 tyre. The new MICHELIN Pilot Sport 4 will be available in 23 sizes from 16 to 19 inches and at a starting price of RM481. 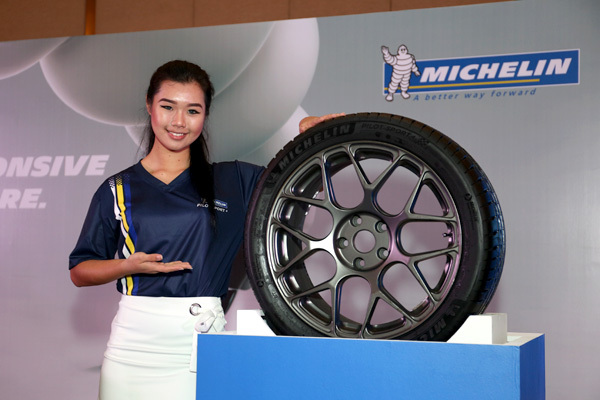 For more information, log on to Michelin Malaysia website.